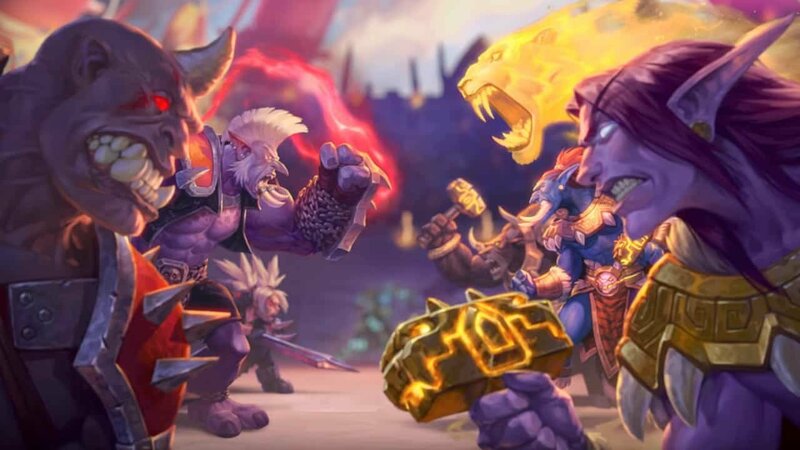 Blizzard Entertainment just announced Rastakhan’s Rumble as Hearthstone’s newest expansion. The Rastakhan’s Rumble lore features the exciting Gurubashi Arena, where fighters from across Azeroth use the power of the Loa and other spirits to duke it out and showcase their abilities. This Hearthstone expansion will feature 135 new cards, Overkill as a new keyword, and Spirit as a new mechanic. In addition, Rumble Run will be added as free single-player content where Hearthstone fans can face the champions of Rastakhan’s Rumble. Spirit of the Shark, a new card in Hearthstone’s upcoming Rastakhan’s Rumble expansion. Image provided by Blizzard Entertainment. 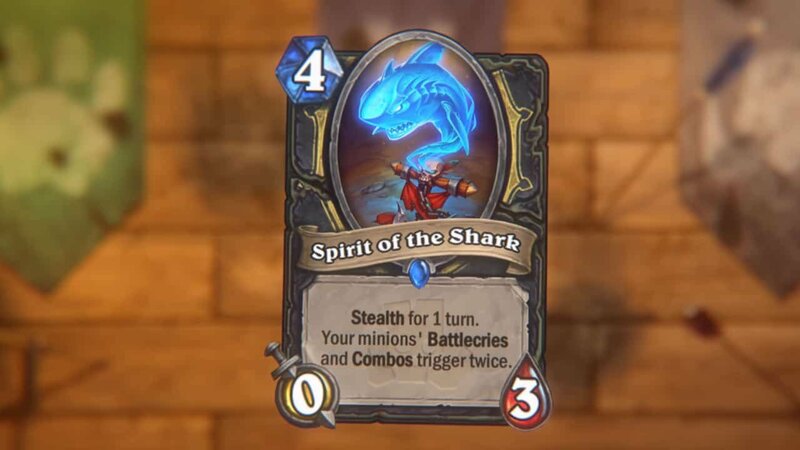 One of the newest cards will be Spirit of the Shark, which has Stealth for one turn and lets the Battlecries of your minions trigger twice. This is in addition to Combos triggering twice. Sharkfin Fan will be another new card, and it summons a 1/1 Pirate after your hero attacks. Sul’thraze gameplay featuring Overkill. Image provided by Blizzard Entertainment. As for Sul’thraze, it will be a weapon that features the new Overkill keyword. With this card, whenever more damage than needed is dealt, Overkill lets you attack again. Shirvallah, the Tiger in Hearthstone’s upcoming Rastakhan’s Rumble expansion. Image provided by Blizzard Entertainment. 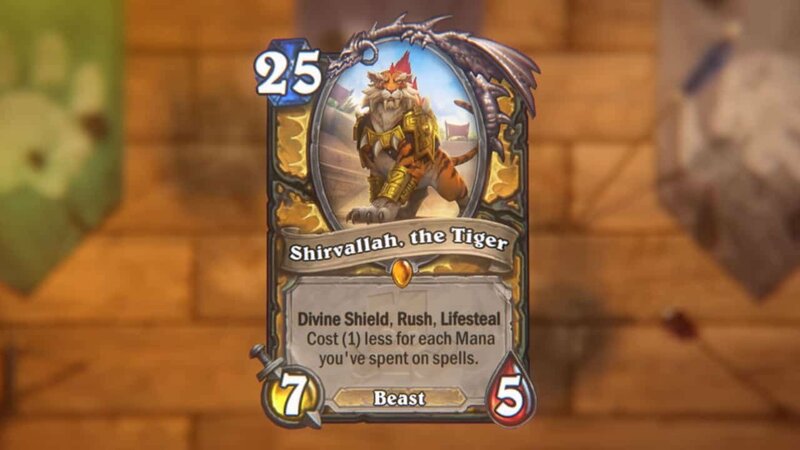 A legendary Beast card will be Shirvallah, the Tiger, which has Divine Shield, Rush, and Lifesteal. Starting at 25 mana, it will cost one less for each mana the player has spent on spells. Rastakhan’s Rumble is scheduled to launch on December 4. 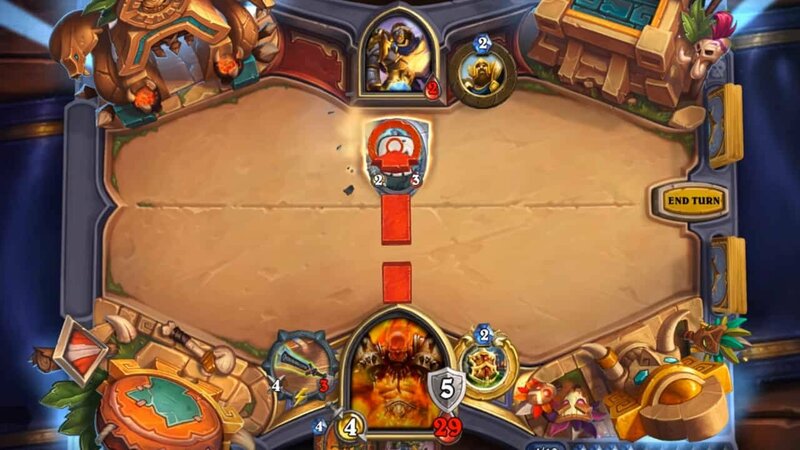 Hearthstone players can pre-purchase the expansion now. There are two pre-purchase options as well, and players can get both of them. While the Rastakhan’s Rumble bundle has 50 Rastakhan’s Rumble card packs, King Rastakhan as a new shaman hero, and the Ready to Rumble card back, the Challenger’s Bundle includes the new Ready to Rumble card back and 17 Rastakhan’s Rumble card packs. Liked this article and want to read more like it? Check out Amy Chen’s Heroes of the Storm BlizzCon 2018 coverage.